From knocked out teeth to severe, sudden tooth pain, dental emergencies happen every day. Our emergency dentists in Aurora understand how frightening and painful these experiences can be. We are available to answer your questions and treat all forms of mouth injuries and problems such as a toothache, broken or lost teeth, and soft tissue damage. If you or a loved one is experiencing a dental emergency, please contact Highpoint Dental Care today at 303-617-9100 to speak with one of our dentists or skilled staff about your situation. 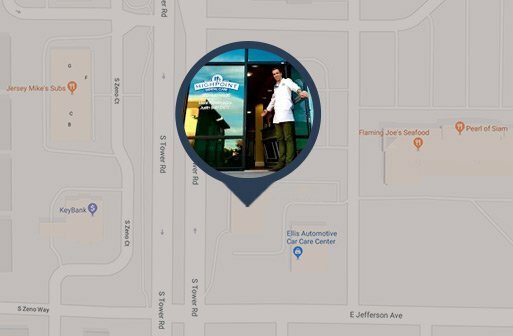 Dr. Rowe and Dr. Baltz provide emergency dentistry services to established patients in Aurora, Green Valley Ranch, Centennial, and Parker, Colorado. If you are experiencing a medical emergency, go the emergency room. Dental emergencies involve oral injuries and pain. One of the most common examples is a loose or knocked out tooth. We can often save the natural tooth if the root isn’t damaged, but the sooner you meet with one of our emergency dentists, the better your chance of restoring a full smile. Some of these may not require an immediate visit, which is another reason why we offer round-the-clock phone services. We can walk you through the steps to save a knocked-out tooth among other injuries, and minimize your pain as much as possible. Dental exams and checkups with a general dentist are essential to maintaining a healthy mouth and an overall healthy body. Millions of men, women, and children go to emergency rooms each year complaining of a toothache. These visits to the ER can often be avoided through preventative care at our dentistry office. It is much easier, and less costly, to treat a small cavity than address a severe tooth infection. During your bi-annual checkups, we look for signs of tooth decay, gum disease, oral cancer, and problems with your bite. Our dentists aim to treat issues before they progress, and regular dental exams are an essential part of that process. Early gum disease (gingivitis) can typically be reversed, but without proper care and intervention, advanced gum disease (periodontitis) may cause you to lose one or more teeth. We are a family-friendly dentistry office at Highpoint Dental Care and provide a welcoming environment for patients of all ages. If you or a family member has suffered a mouth injury or is experiencing tooth pain, our emergency dentists are here to help. During business hours, we can usually fit an urgent dental issue in on the same day and are available after hours to our established patients. We’ll help stop the pain and get to work on the source as soon as possible. If you believe you have a dental emergency, call us right away at 303-617-9100. 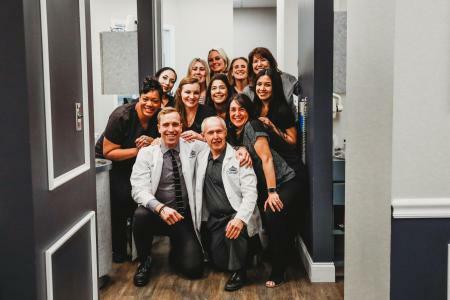 We provide general, cosmetic and restorative dentistry to patients in the Aurora, Colorado area including Centennial, Green Valley Ranch, and Parker.